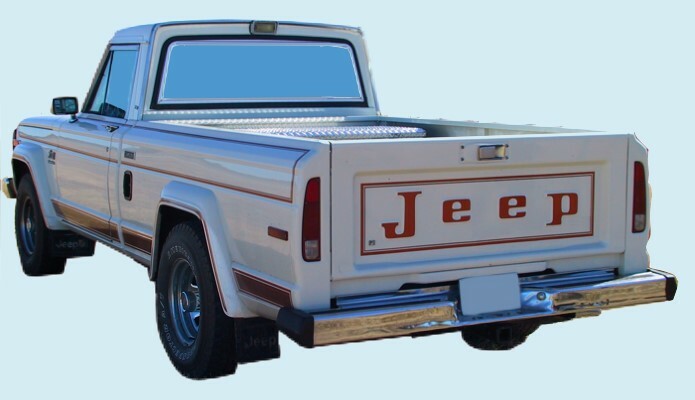 1980 1981 1982 Jeep Laredo J10 and Cherokee SJ trucks were big, beefy and rugged. The Renegade option made them more than that. It made them classic. This AMC Authentic Restoration Product is licensed and correct with 47-pieces it restores your Jeep J10 back to its original appearance. Get a complete decal stripe kit now.